Crêpeaffaire – Flipping Awesome Crêpes All Day, Everyday. Crêpeaffaire’s story begin in 2004, when the first family-owned Crêpeaffaire opened in London. Ever since then, we’ve been going places and spreading the joy with stores from Brighton to Newcastle, and Netherlands to Kuwait! From our original Crêpeaffaire London base, we’re now opening new stores across the country – and abroad. Follow us on social to find out about the next store opening. 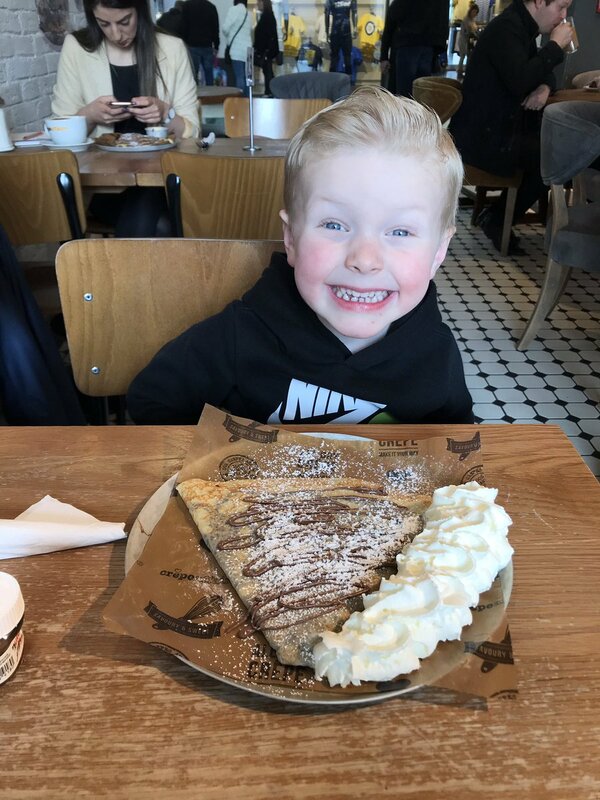 We’re more than just a crêpe shop or crêperie… our cosy cafés offer freshly prepared crêpes made in front of you whatever you’re craving, at any time of the day. Click here to check out our big variety of food & drinks on the menu. Pancake lover? Why wait until pancake day when you can get pancakes with us all year round! …but not free-from deliciousness. We’ve got something for everyone with our vegan crepes, gluten-free galettes, dairy-free cheese, meat-free chick’n… we want to be as inclusive as possible. That’s why our menu has a large range of free-from & dietary options. Vegan? Dairy free? Gluten free? Vegetarian? Pescatarian? Lower calories? We’ve got your back! Find out more about our dietary options and mission to reduce our environmental impact here. You could visit us for breakfast and coffee catch-ups with tasty sweet snacks! Or get a savoury crêpes delivery to your sofa or office. Whether it’s for brunch, lunch, dinner or dessert, find out if we deliver to you here. Check out our menu to see what’s baking – from super indulgent Nutella crêpes and waffles to deliciously healthy gluten-free galettes made with organic buckwheat flour. And we’re continuously creating new recipes, so watch this space!